Aly Dosdall: happy valentine's day! So, last year my daughters and I made some gum valentines for their school friends which I posted here on my blog. To celebrate today I'll close my Valentine's Day series with a couple of gift box projects if you happen to need a last minute easy gift for someone you love. Full instructions and supplies on the We R blog HERE. Check out these fun gift boxes I made using the Gift Box Punch Board and the Pillow Box Punch Board. 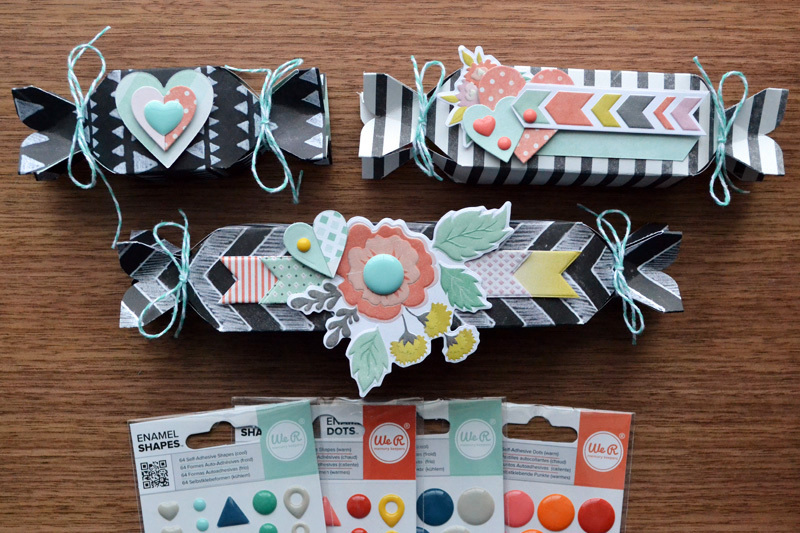 Washi Tape made it easy to spruce these up for Valentine's Day. I hope these ideas inspire your Valentine's Day crafting! Aly, it is so nice to meet you. Your projects are beautiful! !